Spanish ham is some of the best in the world, reared with love, aged over years with care and finally served and presented with passion Jamon and Paleta hams can make a sufficient meal on their own. The ham is usually produced with Iberian pigs and the difference between jamon and paleta is that jamon comes from the rear leg and paleta from the front. 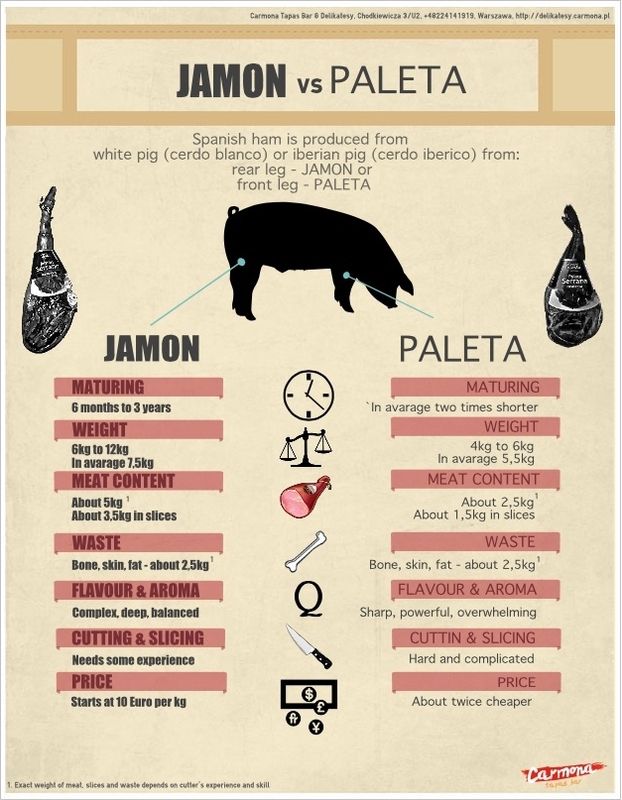 In this infographic from Carmona Tapas Bar & Deli the two types of ham are broken down, their weight, flavor and aroma, price and how long each one is matured are all laid out. If you love cured meats then you'll appreciate this.